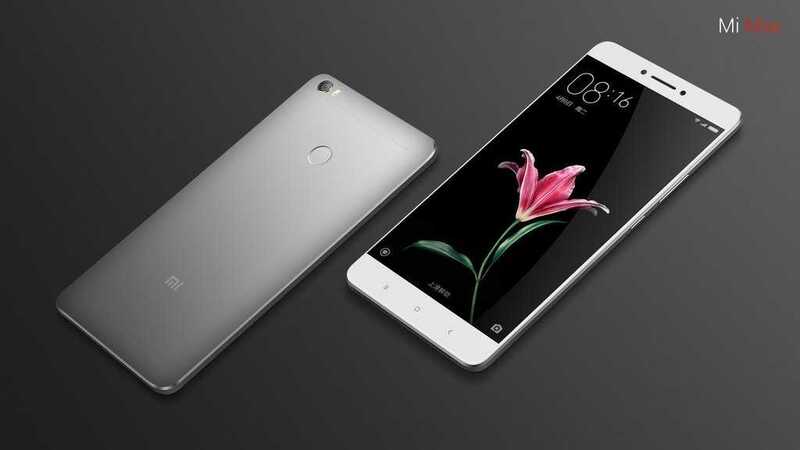 The highly touted Xiaomi Mi Max phablet – the largest ever smartphone from the Chinese OEM – was released last month. Coming in with a 6.44-inch display panel, the Mi Max happens to be one of the largest smartphones around. You will get the Xiaomi Mi Max in three variants based on the technical specifications, that is, amount of RAM and storage available. The base model has 3GB of RAM and 32GB of onboard storage while the high-end model comes in with a RAM of 4GB and onboard storage of 128GB. Samsung was at the heart of inventing the phablet world with its Galaxy Note lineup, however, a number of Chinese OEMs have been taking this phablet world to the next level with devices that feature extremely large screen sizes. In fact, this trend has even led to the likes of Apple considering the market, hence the introduction of the 5.5-inch iPhone 6 Plus back in 2014. Now, Xiaomi has now shifted attention to this phablet industry with its new Mi Max, a phone that is the company’s largest ever. Apparently, the company has those who want to watch movies and TV shows when on the move in mind. Chitchat aside, here are the best 5 features of this Xiaomi Mi Max phablet. Xiaomi’s great smartphone designs have baptized it the name “the Apple of China.” You will see this in the Mi Max’s slim design although this is made possible by the huge nature of the phone that allows for easy spreading out of components. This means the phone measures just 7.5mm thick, something that makes it easy to slide the phone into your pocket. Still, you might want to check the size of pockets on your apparel to ensure this huge device fits without sticking out. For the phablet-obsessed persons, there is no better phone than the Xiaomi Mi Max as far as huge displays are concerned. The 6.44-inch panel has a Full HD resolution and is also equipped with a feature known as Sunlight Display mode – a feature that ensures using the phone is not a problem when in direct sunlight. Xiaomi also claims that the phone has a night reading mode that works in the same manner as the Sunlight Display mode, ensuring that the views you get at night are the best. With display panels known to be leaders in terms of battery consumption, Xiaomi went for a massive 4850mAh unit to keep the phone powered. Apparently, this battery is capable of streaming up to 14 hours of video over Wi-Fi without needing a recharge. Who doesn’t want a phone that offers great photography? Well, in the current world, nobody does. As a result, Xiaomi Mi Max packs a decent 16MP snapper on the rear that features a 5-lens setup and a capable aperture of f/2.0. You will also find a dual-tone LED flash, PDAF, face detection, as well as HDR. The front panel has a decent 5MP 85-degree wide-angle selfie sensor featuring the same f/2.0 aperture. A feature that is designed for the premium end devices, you will get a fingerprint sensor on Xiaomi Mi Max despite the fact that it is not a premium-end phone. This is a great addition to the security layer provided by the phone and it will be very useful to users, especially in the growing use of mobile payments. You will also come across an infrared emitter – a feature that can be used to turn the Mi Max into a universal remote controller. Cool huh!